It’s not the prettiest laptop I’ve ever seen, but $460 is a great price for a computer with a Core i5, 8GB of RAM, a 256GB SSD, and Windows 10 Pro. It’s only available today though, or until sold out. In case you missed it, Amazon’s still blowing out refurbished Echo Dots for an all-time low $38. If you’ve already fallen in love with the Alexa ecosystem, this is a great chance to add a smart speaker to every room in your house. Whether you’re looking to start a podcast, or just want your Skype calls to come through loud and clear, the Blue Yeti is one of the most popular mid-range USB microphones you can buy. Get it today for $90, one of the best prices we’ve seen. Keeping floors clean is tedious enough as it is, but you can save some time with this $85 Bissell Symphony, which is a vacuum and a steam mop all in one. You can use it as a vacuum, a steam mop, or with the flick of a switch, both at the same time. It even uses some kind of sorcery to keep your debris bin dry even as you vacuum up water molecules from the steaming process, so it won’t be too disgusting to empty. 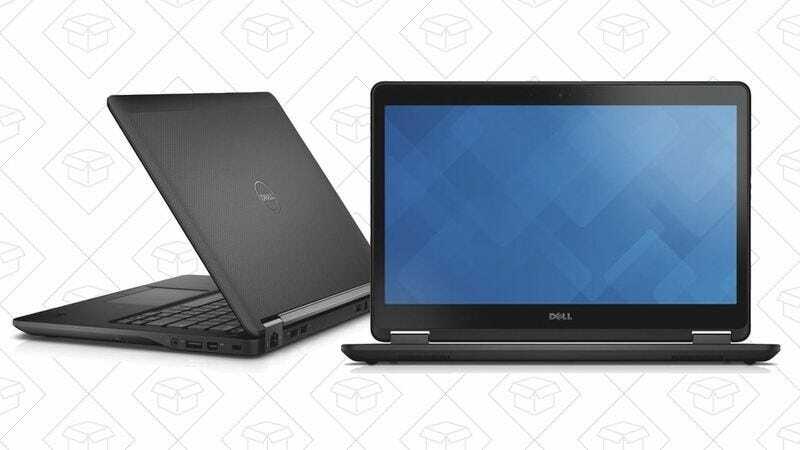 Today’s price is only good on a refurbished model, but it’s about half the price of buying it new, and this deal is only available today, or until sold out. Gerber’s Dime multitool doesn’t include a knife blade, which makes it somewhat less useful than most multitools, but it also means you can take it through airport security. This weekend’s Kindle ebook sale is focused on children’s and young adult books, but we won’t tell if you buy one for yourself.